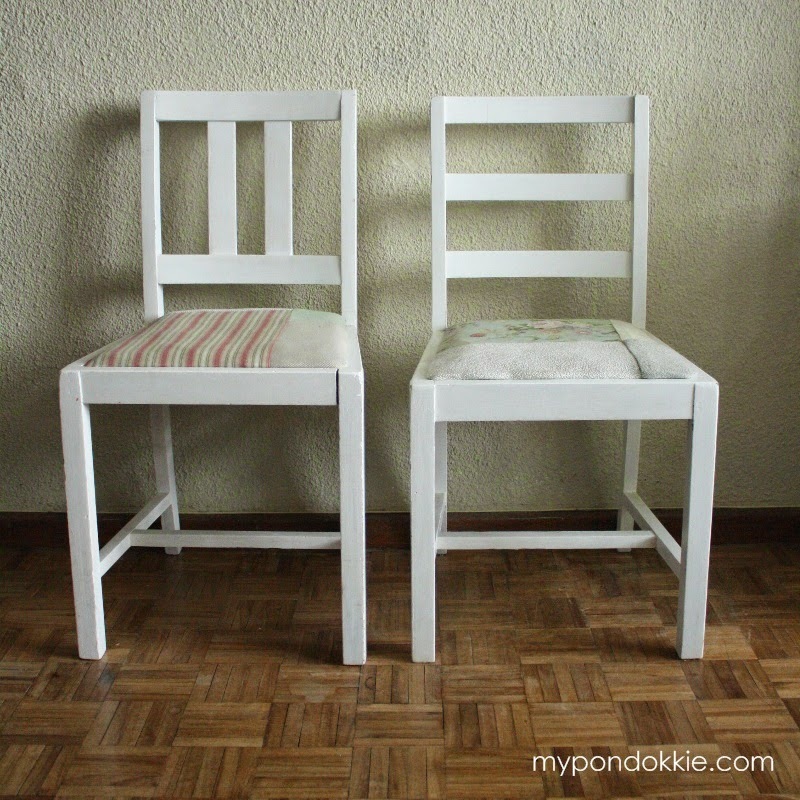 Years ago I bought these 2 chairs at a flea market for R100 each. 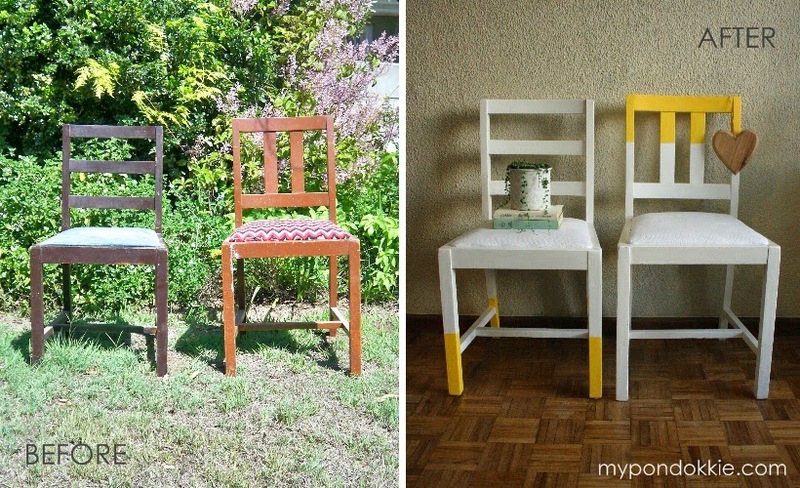 Oh what ugly mismatching little chairs they were. 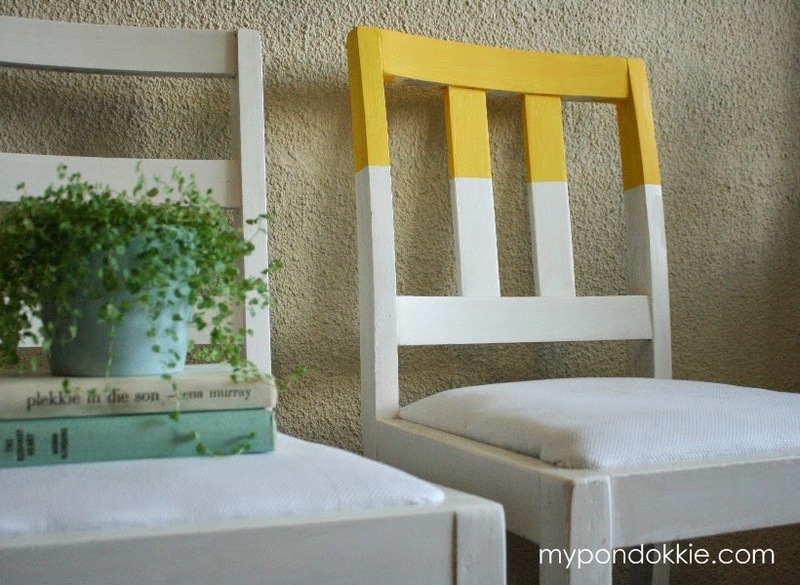 I then redid them by painting them white and reupholstering the seats with pieces of scrap material I had around the house. I recently realized I want to redo them again.. it’s time! 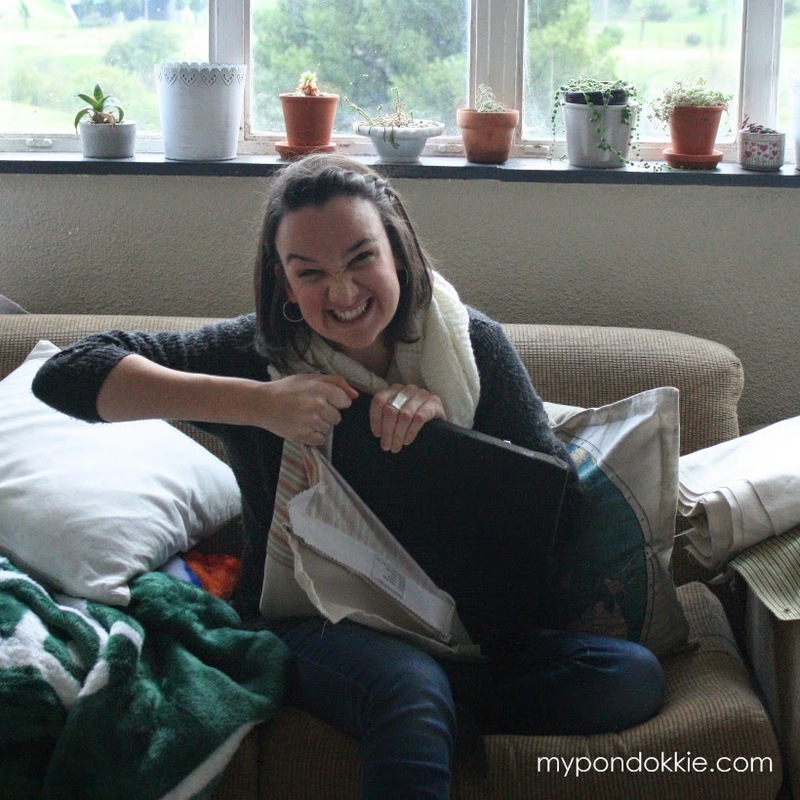 Saturday was such a miserable rainy day in Cape Town, and my amazingly talented friend Aletta & I were stuck indoors in my tiny apartment. 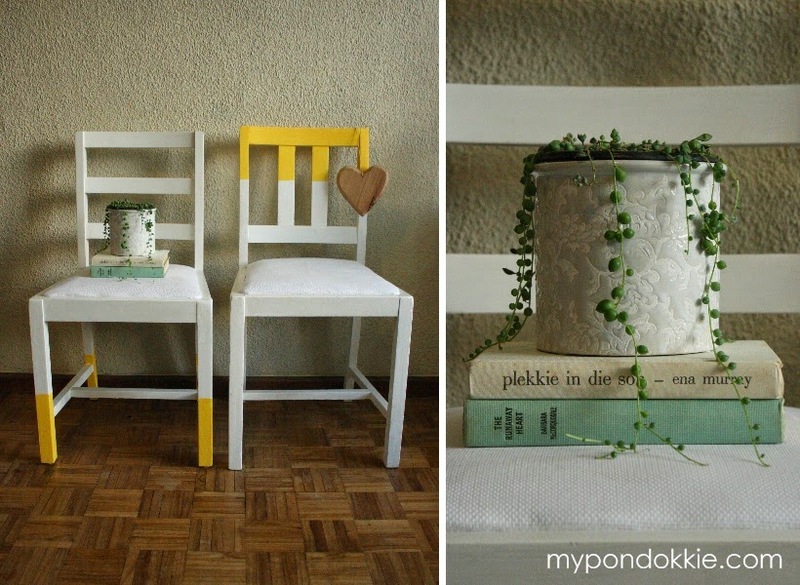 We needed something to keep up busy and so we stated on a few diy projects. My chairs were top of the list! I still liked the fact that the chairs were white (my weakness) but the floral prints became a bit much in my already very busy apartment. I decided to rip off the old covers and redo the seats with white fabric I had lying around. Already it looked soooo much better, but it still needed a bit of oomph. With the pouring rain outside I needed cheering up.. Yellow was going to be the answer!! Using some masking tape to make sure I paint in a straight line I painted the top part of the 1 chair and the bottom part of the other to give a bit of variation. Loving the outcome!